Location: was last seen at his residence, 1616 23rd St. E. in Bradenton. Synopsis: His vehicle was found abandoned at 1962 21st Street East in Palmetto, Fl later the next day. His vehicle was a Maroon Ford Explorer Sport Trac. He was entered as a missing person. On November 20th, 2017 his body was found at a farm on Verna Bethany road. On 1/6/2012 deputies responded to an abandoned house where there were several calls of shots fired. Deputies then discovered the victim inside the residence with several gunshot wounds. He later died at the hospital. Three black males were observed in the neighborhood walking toward the abandoned house, after getting out of a silver or grey car. Shots were then heard and two of the black males were observed walking away from the abandoned house where they were picked up by a grey vehicle down the road. The following day, the victims vehicle was located at a local grocery store, Acapulco Tropical, 3505 1st St E., Bradenton. It is believed that Stokes was using and/or selling drugs. Synopsis: Wittmeyer was found lying on her stomach with her head partially shoved into a drainage ditch. Cause of death was determined to be multiple stab wounds. The victim was a suspected abuser of alcohol and cocaine. Wittmeyer was last seen alive by her estranged husband. Synopsis: Loiselle was found in a ditch at the above location. Loiselle had been shot multiple times in the chest. 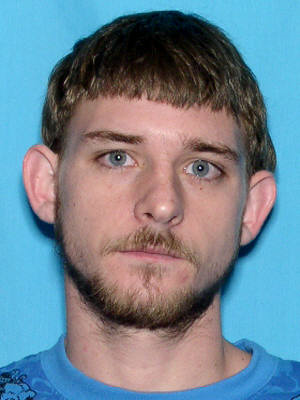 Loiselle was a witness in a Federal case and was being used as a witness by FDLE. Synopsis: Trespasso was found in a wooded area at the above listed location. The cause of death was listed as suffocation and manual strangulation. Trespasso also had a large amount of cocaine in her blood. 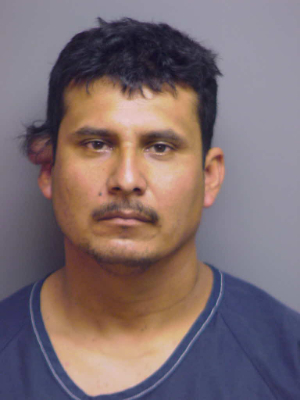 Synopsis: Munoz was talking to his parents in Mexico on the pay telephone at Oakwood. A fight ensued between several unknown black males versus several unknown Mexican males. Munoz was shot in the head, which is believed to have come from a passing vehicle. No suspects are known at this time. Synopsis: Victim was a suspected to be involved in drugs. Subjects entered the residence and shot him in the face. No suspects were developed in this case. Synopsis: Victim was found in the wooded area near Fountain Lake Apartments. Cause of death was Asphyxia due to Strangulation. Victim was last seen by her boyfriend, the evening before she was found. There were numerous suspects. Street information was received that Fitts had "ripped off' another person of drugs and money. No evidence was available at this time to link a suspect to the crime. Synopsis: Victim returned home from the store and confronted unknown persons in his trailer. Victim was shot at least twice and dumped in a ditch behind his residence. The victim's guns were stolen and one gun was recovered in Desoto County. A female suspect was charged by the State Attorney's Office for dealing in stolen property. The female suspect was in possession of one of the victim's guns. The female suspect and her husband were interviewed about the homicide but nothing could be found to link the two to this case. Location: Manatee River/400 yards West of I-75 Bridge Ellenton, Florida Suspects: None Synopsis: Victim lived and worked in Tampa. He was found shot and weighted down in the Manatee River near 1-75 @ US 301. This case went back and forth between MCSO and Tampa due to the unclear circumstances about where the homicide actually occurred. No suspects were developed in this case.